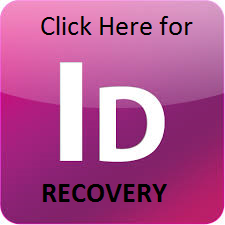 Forgot Your Student Suite User Name or Password, click on the ID Recovery button below. First time Users are encouraged to view the below video on "How to Request a Transcript". Option #1: Online/Electronically (Preferred & Fastest). Processed on the same day of receipt of request. Complete the following REQUIRED information on the form to include: Name, Social Security Number, Phone, Name and Address of Institutions or Agency Receiving Transcript and Your SIGNATURE. (NO FORM WILL BE PROCESSED WITHOUT A WRITTEN SIGNATURE). Fax your Transcript Request to either the Birmingham or Bessemer campus. Faxed Transcript requests are processed within 24-48 hours from the receipt of the request. NOTE: Records prior to 1985 should be completed in writing bearing your signature. (Please include years attended and if you attended Bessemer State Technical College or Lawson State Community College) These records are archived and may take more than 48 hours to locate and process. Transcript requests are processed within 24-48 hours from the receipt of the request. No transcript will be furnished for any student or alumnus who has a financial obligation to LSCC such as unpaid fees, tuition or fines (i.e., parking, library). Transcript may also be held for incomplete admissions records. It is the policy of LSCC not to release transcripts of other colleges and schools received by LSCC, if past due payments have not been received.